Here comes the school bus! 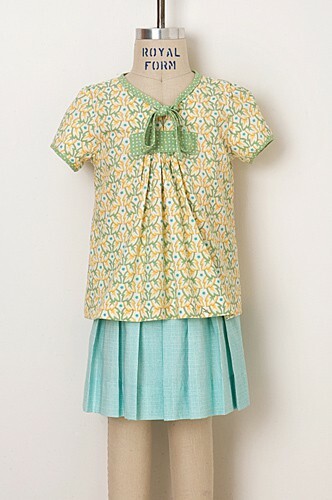 Girl's tunic-length, A-line blouse features neckband ties, gathered front with applied patch, and button back, options for long and short sleeves. 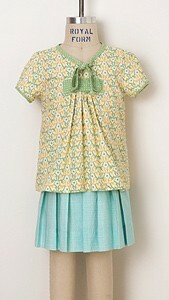 Pleated skirt has hidden snaps at side placket, button-loop closure on waistband, and elasticized back waistband. 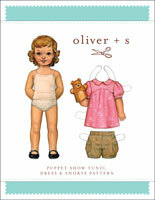 Share your photos on Instagram with the hashtags #twoplustwoblouse and #oliverands. 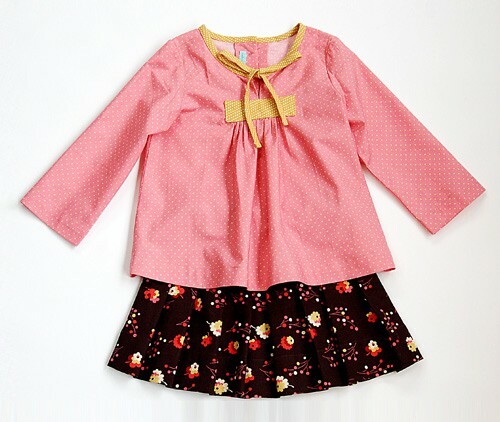 Girl’s blouse and skirt. Tunic-length, A-line blouse features neckband ties, gathered front with applied patch, and button back, and options for long and short sleeves. Pleated skirt has hidden snaps at side placket, button-loop closure on waistband, and elasticized back waistband. After successfully sewing this pattern, you will have developed the following skills: bias binding, buttonholes, flat-set sleeves, partial plackets, plackets, and pleats. Blouse: Light- to medium-weight woven fabrics like quilting cottons, batiste, broadcloth, chambray, seersucker, and linen. 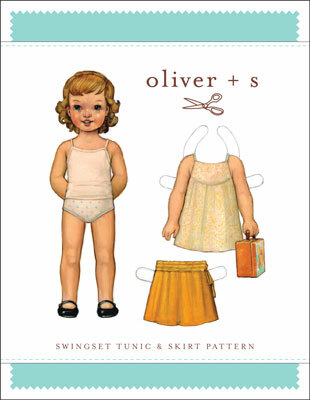 Skirt: Light- to medium-weight woven fabrics like quilting cottons, broadcloth, chambray, denim, seersucker, and linen. Skirt: 1/2 yard 3/4" elastic, one 5/8" button and two sew-on snaps. Blouse Length 13 1/4" 13 3/4" 14 1/2" 15 1/4" 16 5/8"
Chest 21" 22" 23" 23 1/2" 24 1/2"
Blouse Sleeve* (View A) 15 3/4" 16 1/8" 16 7/8" 17 3/8" 18 3/8"
Blouse Sleeve* (View B) 7 3/4" 8 1/8" 8 5/8" 9" 9 1/2"
Skirt Length 8 1/2" 9" 9 1/2" 10 1/4" 11"
Blouse Length 17" 18" 18 3/4" 19 3/4" 20 1/2"
Chest 25 1/2" 26 1/2" 27 1/2" 28 1/2" 29 1/2"
Blouse Sleeve* (View A) 20 1/8" 21 7/8" 23 5/8" 25 3/8" 27 1/8"
Blouse Sleeve* (View B) 10" 10 1/2" 11" 11 1/2" 12"
Skirt Length 11 3/4" 12 1/2" 13 1/4" 14" 14 3/4"
Love the first.wished product but found that the instructions lacked a bit if detail. Especially towards.the end of each piece. I have avoided this pattern as it only comes in digital form, but I was able to purchase a new paper copy. I love the outcome of the pattern but found the edgestitching around the neckline challenging. I am a perfectionist and had to redo it several times to make it perfect. I found Nicole's tutorial online with some helpful hints and pressed forward (Thank you Nicole) I love the result. It is a darling outfit. 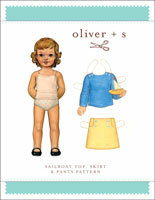 My new granddaughter is only 5 days old and has a closet of Oliver + S outfits waiting to be worn. This gorgeous little number is the essence of classic styling. It is easy to wear but definitely not sloppy. The sweet ties are so pretty but you can easily swop them to a button closure http://fiveandcounting-motherof5.blogspot.com.au/2011/06/too-much-22-adorablenessis-that-word.html I adore the blouse made in plain white. http://fiveandcounting-motherof5.blogspot.com.au/2013/07/more-farm-clothes-or-yes-i-think-my.html I posted a full tute her if you would like a peep http://fiveandcounting-motherof5.blogspot.com.au/2012/07/221-sweet-blouse.html I also have a skirt tute here http://fiveandcounting-motherof5.blogspot.com.au/2011/06/22seriously-cute.html and another version here http://fiveandcounting-motherof5.blogspot.com.au/2011/06/22-revisited.html I would love to play around with the front gathers and make a bonnie baby boy top. Its lovely and now its back as a PDF, there is no excuse not to make it. The notches on the short sleeve pattern piece (piece #8) are placed incorrectly. Use the notches to begin and end the gathering stitches, but note that they will not match up with the armhole when you pin the sleeve to the armhole. 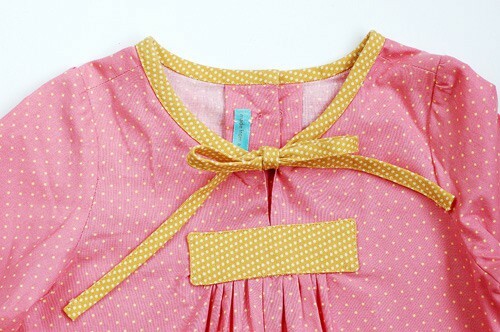 The sleeve will still fit if you disregard the notches on the sleeve when you pin and stitch the sleeve into position. A few pattern pieces were incorrectly identified in the cutting layout in the first printing of the instructions. The correct labels are as follows. The finished measurements table on the back of the pattern envelope contains an incorrect column heading. 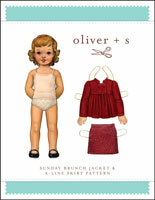 The middle column should be labeled "18-24 M" instead of "12-24 M."
Discussion on the digital 2 + 2 blouse + pleated skirt sewing pattern from the Oliver + S Discussion Forums. Find and share more photos on Instagram using the hashtags #twoplustwoblouse and #oliverands.